Front page cover for Catholic Review (Maryland). 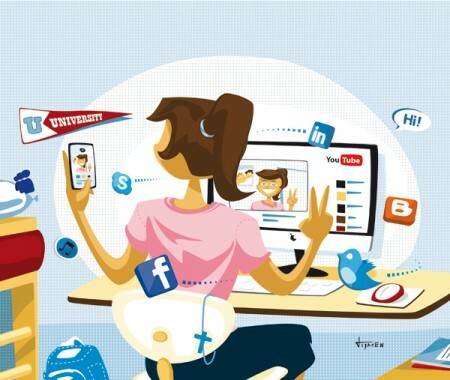 The illustration is about the millennial generation connecting themselves 24/7 onto social networks, creating another view on privacy. The topside of the illustration was left open to give more space to the masthead.